There’s renewed verve in catwalk jewellery. 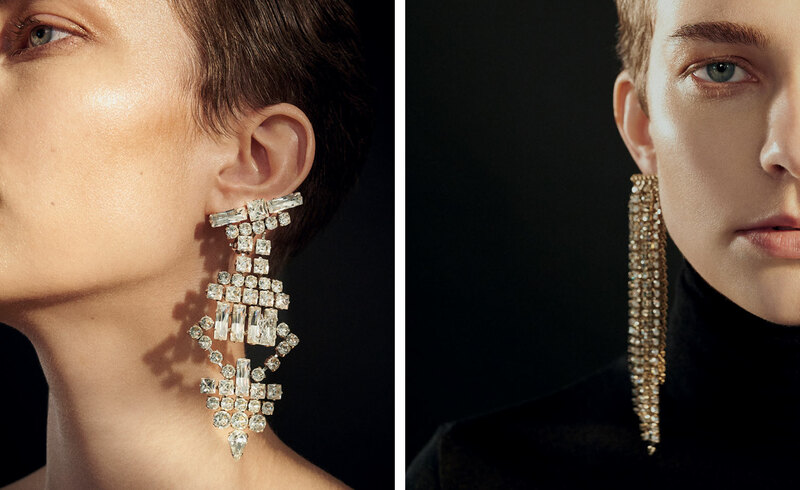 Giant diamanté earrings, with all the glisten and gleam of a mirrorball, are the showstoppers this season. Scale is key – the performance aspect of the catwalk requires some theatricality in the jewellery. Lanvin’s over-long strands of diamanté tumbled from the ear like a waterfall, cascading in a fringe, from a bar that reached all the way across the lobe. At Saint Laurent, traditional cuts – round, emerald, baguette – were blown way out of proportion in off-kilter danglers, referencing the glamour of the 1980s. Marni altered the tone with a figurative take: mixed gold and blackened metal gave an antique chandelier effect when clashed with voluminous white paste floral motifs. 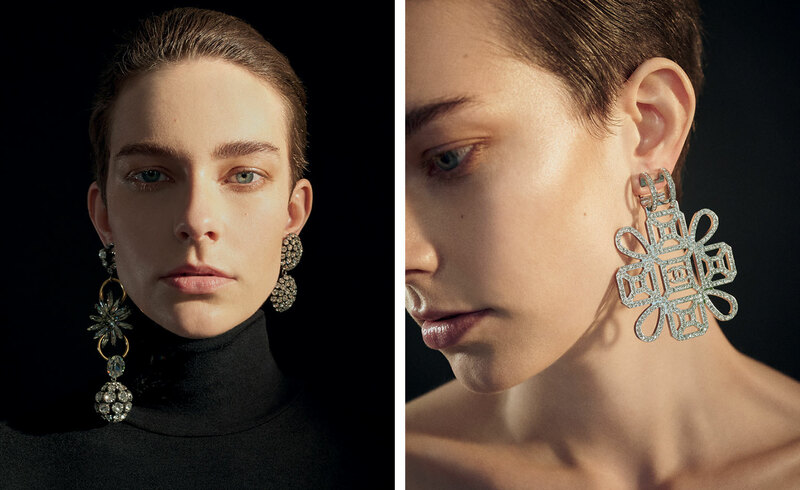 Chanel, riffing on its classic Maltese cross designs in sizeable white metal pavé frames, displayed a lighter touch but that didn’t make its earrings any less bold and brilliantly playful, as the best catwalk jewellery design should be.